The PlayStation Network was launched almost 12 years ago for the PlayStation 3 and PSP to compete with Microsoft's Xbox Live online gaming offerings though would be considered bare-bones in comparison at launch. Both services today are nearly indistinguishable on the surface with Sony now finally implementing a feature users have been asking for for over a decade. Sony announced today that PlayStation players will finally be able to change their PSN Online ID in the near future with an upcoming update. Firmware beta testers will get their hands on the long awaited feature this year while the rest of the player base will need to wait until early 2019. Many of us in the fighting game community likely made our PSN names around the time that Street Fighter 4 came out in 2009 meaning we've been stuck with the same name for almost a decade — and titles we used to think were cool or clever in our younger / teenage years have become cringy relics of the past. 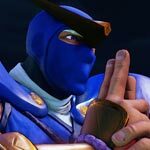 This means that we will no longer need to feel embarrassed to take our old names online in titles that don't offer their own player name system like Street Fighter 5's Capcom Fighters Network. The first name change will be free of charge for PlayStation users and $9.99 USD afterwards like Xbox Live. They do offer a discount for PlayStation Plus subscribers though lowering the cost of changing your online ID to $4.99. These benefits may come at a price beyond monetary value, however, as the name changes will not be compatible with every game on the PS4, PS3 and PS Vita and could cause a variety of issues. Sony states that all PS4 titles released after April 1, 2018 will be fully compatible with the ID changes along with "a large majority of the most-played PS4 games that were released before this date." They do state that not all games and apps on the PS4, PS3, and PS Vita will support the new feature and may lead to issues and errors in some titles. We don't know what types of errors may occur when trying to mix new names with old games, but many assume that leaderboard issues may occur along with general online and cloud functionality issues. We'll likely need to wait until the feature goes live to learn more about its shortcomings. A list of compatible games will be released when the full feature launches next year — so if you care about your leaderboard rankings in any fighting games you may not want to go and immediately change your name. Sony will offer players the option to return to their original name at any point in case issues are encountered. This update will be insignificant to those who are happy with their names, but will feel like Christmas came early to many who have had their original accounts for more than a decade. Let us know in the comments whether you plan on changing your ID in the future, and tell us the worst names you've encountered on PS3 or PS4 — shout out to LDS for having one of the best worst names.